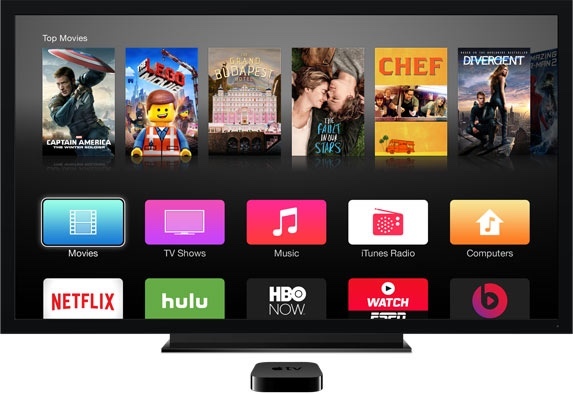 An Apple TV refresh is long overdue, with the Cupertino company’s current set-top box last receiving a hardware bump back in March 2012. Since then, the company has been rather mum when it comes to releasing new hardware of its famed TV box, but according to a freshly published report, a new and refreshed Apple TV 4 will see an announcement this September. According to a piece published by BuzzFeed, Apple is all set to announce the new Apple TV 4 in September, during the same event it plans to announce the iPhone 6s. This move will ensure that the new hardware is available to people just in time for the famed holiday shopping season. It’s also being reported that the Apple TV 4 won’t support 4K content, which is rather strange, considering that the Cupertino giant has gone way past the 1080p mark in most of its mobile device lineup, and stands firmly in the Retina region of things, and the same goes for most of its Mac lineup as well. On the design front, the Apple TV 4 is expected to be thinner than the current generation hardware. And when it comes to the internals of the device, it is being reported that it would be powered by Apple’s A8 chip, the same one found in the iPhone 6 and iPhone 6 Plus, along with the iPad Air 2 and new iPod touch 6. Software wise, the source says that the new Apple TV will come with an App Store of its own, allowing third-party developers to design and make apps for Cupertino’s set-top box. The company is said to release the SDK for developing Apple TV apps alongside the new hardware. Apart from that, the new Apple TV 4 is also rumored to get a brand new interface. The Apple TV 4 will come bundled with a new and improved remote control, doing completely away with the traditional aluminum one which we have come to know for years. The new remote is said to feature touch-based controls and Siri integration as well. Lastly, it was rumored a while back that the new Apple TV 4 will make its debut alongside a new TV subscription service which Apple is currently working on, and if today’s report is to be believed, the service is still isn’t ready for debut, and the Apple TV 4 will ship without it. Originally meant to be released at this year’s WWDC, it’s being reported that Apple scrapped its plans to announce the device due to it not being ready for prime time. With September right on our noses, we’ll know soon what Apple has up its sleeve.